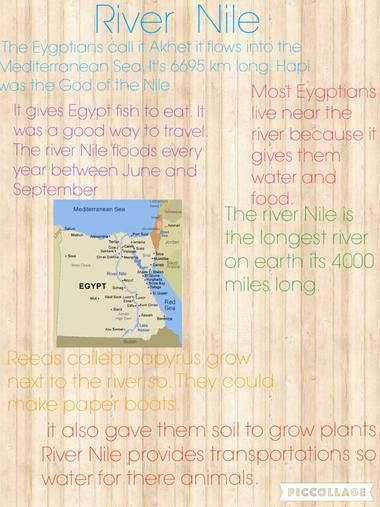 The children worked in pairs to research how important the river was to the Ancient Egyptians lives. 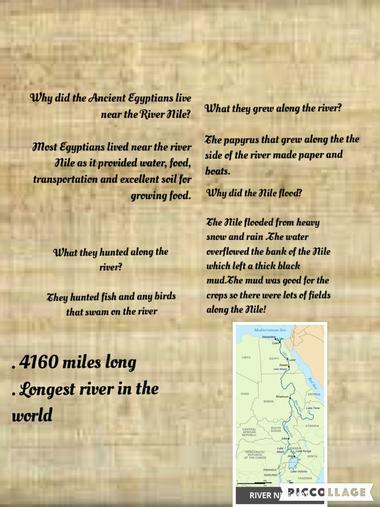 They then discussed how their lives and the lives of the Egyptians differed. 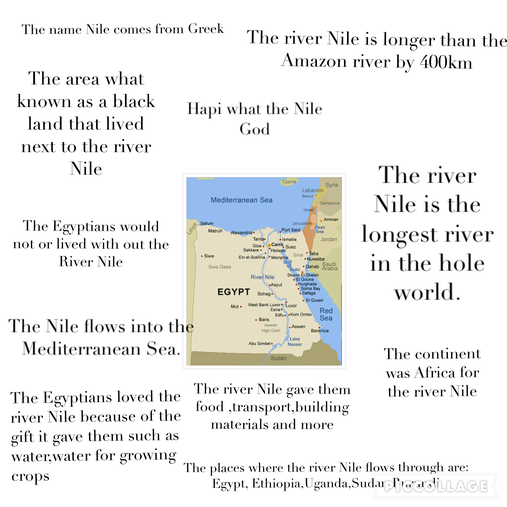 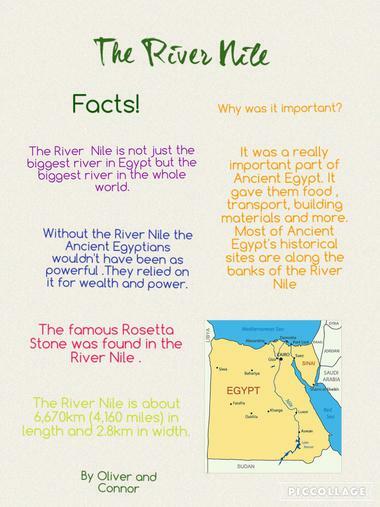 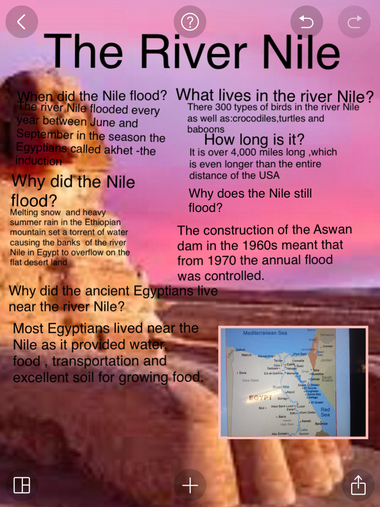 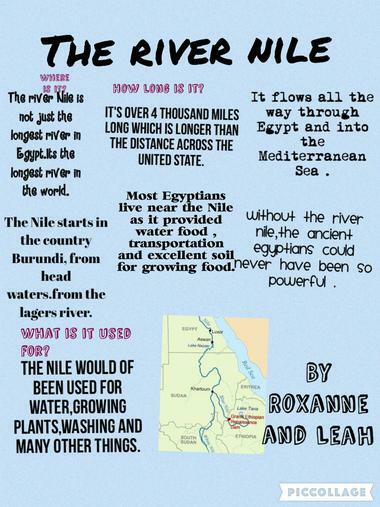 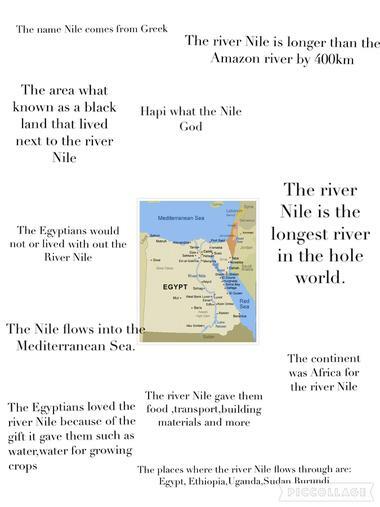 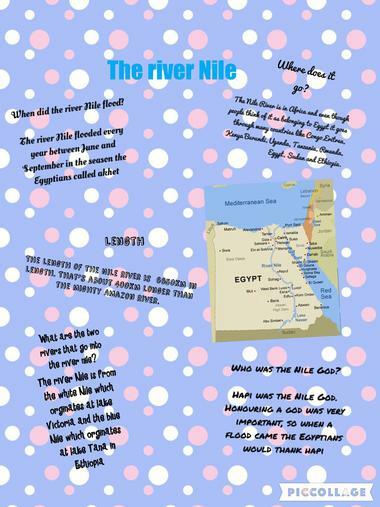 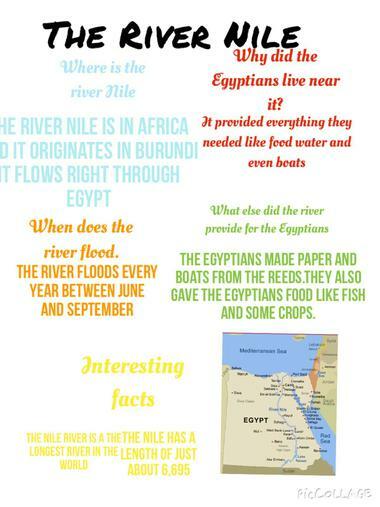 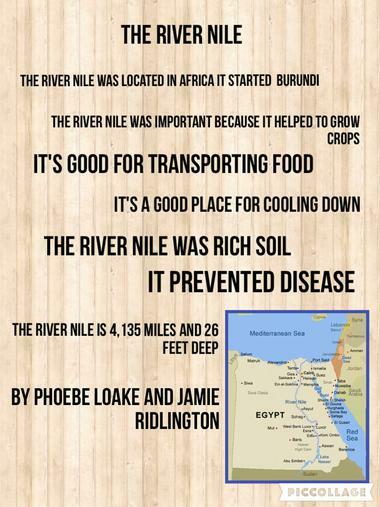 Following this the pairs created a pic collage to explain different facts and uses of the River Nile.